There is good reason why Graham Harris is something of a poster boy for inventive entrepreneurs up and down the country. 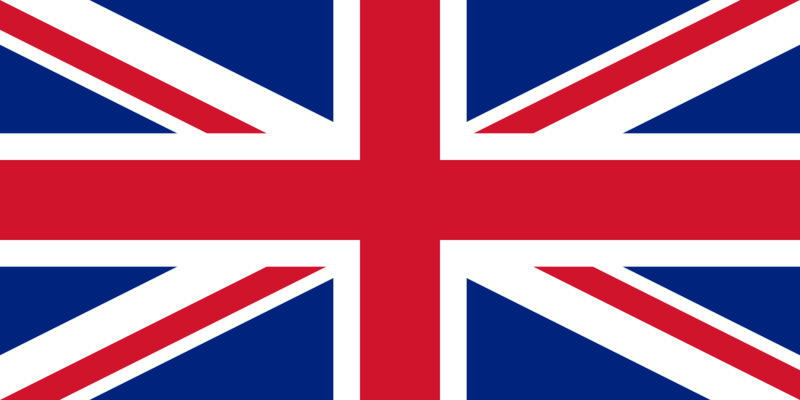 The idea he came up with during his lunch breaks working at a Leicester-based printer has gone global – the firm’s Tri-Creaser is now available worldwide via a network of 96 distributors. Harris says he has always had “an inventive mind”. “I was at work, and I was thinking about what was the biggest thing people struggle with in finishing, and it’s cracking. There’s often no time to send a job out for creasing. While Harris’s wife was working at weekends, he’d be in the garage honing his ideas and enlisting his daughter and son to draw and measure things for him. His eureka moment came when he was experimenting with rubber O-rings on a shaft, creating creases using a bed of rubber. “I took the O-ring out and as I did so it flicked into a groove and protruded outward. My heart skipped a beat. I ran that into a channel and got a fantastic crease – the sort of crease I’d only ever seen produced on a platen cylinder before,” he recalls. The rest, as they say, is history. 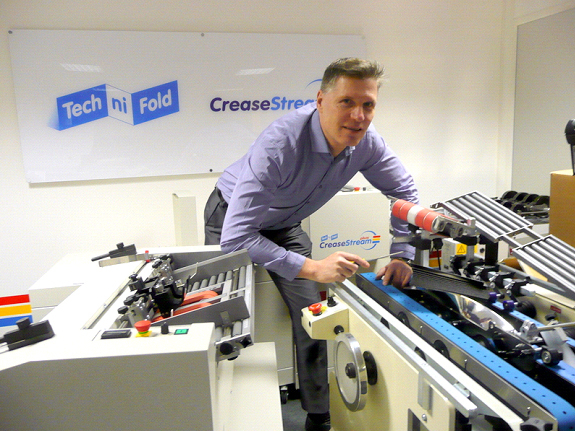 Tech-ni-fold’s range now spans 400 different products including standalone devices such as desktop creasing machines. Tenacity and something of a thick skin are an essential part of the inventor’s armoury, says Harris. He’s still having ideas and encouraging the Tech-ni-fold team to do likewise. The firm now employs nine staff at its Leicester base, and generates sales through distributorship channels.